Today only, H&M is offering 25% off their already low sale prices. I looked through most of it and the thing I thought was the best deal is the swimwear!! You can get a kids swimsuit for $3.74!! I purchased my daughter and son a couple of suits from H&M last year when they were a crazy good deal and I felt like they held up pretty darn good!! They didn't loose their color (like Old Navy) and both of my kids have loved them all summer long and got a bunch of compliments. To get the additional 25% off use code 3157 at checkout. See all of my favorite suits below and click to get directly to it. 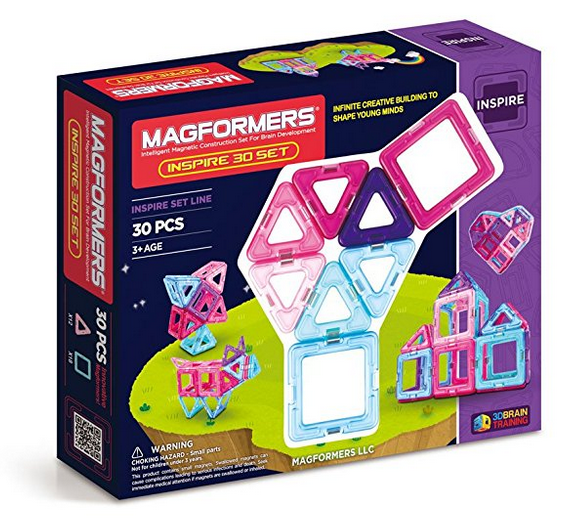 Do your kids love Magformers like mine do?! They are such a fun, creative, quiet toy that my family loves to play with at home, in the car, and church. They definitely aren't the cheapest toy, but I think they are super high quality and worth every penny. Typically each magnet is well over $1 a piece, but today you can get a set of 30 for ONLY $21! Think ahead and get these for an awesome Christmas present! Free Shipping with an Amazon prime account. This Softspun Pullover Sweater with Tie-Hem from Gap is regularly $44.95, but is on sale for $32.99! But that's not all, for only FOUR MORE HOURS you can use code FRIEND AND BEST to receive an additional 50% off, plus another 10% off AND FREE SHIPPING! That makes it only around $17!!! It comes in blush, navy, gray and white. This is a shirt that is flattering on most body types. Snag it up before your time runs out!! For only 48 hours, American Eagle has A TON of their sandals up to 50% off! I've never been much of a slides person, but I've wanted something cuter than rubber flip flops to wear to the pool. Something I don't have to buckle (that makes me sound like the laziest person on the planet), that I can throw on real quick as we are running out the door. These are the perfect color and style and only $8.97!! They have a ton of other options, so check it out! Also, free shipping and free mail-in returns when you spend $50! One thing that's a must when we go to the beach is SHADE!! It's so nice to have a little place for us to come to eat snacks, get out of the sun and to store things. We have a SportBrella which we absolutely love because it's no hassle to set up at all, but it is kind of big to haul around. So when we need something smaller because our car is chuck full of other traveling stuff, this Coleman Daytripper Beach Shade is our go-to! Amazon has the green one on sale for only $28, reg $59.99!! Get it before Amazon bumps the price up again and enjoy it for the rest of the summer and fall. Permission to Parent: How to Raise Your Child With Love and Limits by Robin Berman is now available in kindle form for only $1.99! I haven't read this book yet, but I've been wanting to and there is no better time to buy it then when it's only $1.99 and then read it at my leisure! It has great reviews and I love learning about parenting methods because let's be honest...I (like most) don't really know what I am doing. Below is a quick description. Using her clinical experience, psychiatrist Robin Berman shows parents how they can take charge while building a loving family with deep connections. How children learn love and respect at home becomes the template for how they show love and respect in life. Isn't it great when you have a new magazine to read by the pool, at the beach, or on a road trip? Or lets be honest, maybe it's just great if you ever have five minutes of spare time. Today Amazon has a 1-year subscription for REAL SIMPLE on sale for $5.00. For $5.00 you get an annual subscription that includes 12 magazines, if you buy it off the shelf in the store you will pay more than $5 for 1 magazine. You can't really beat those deals and I love getting magazines in the mail to read/browse through. Last thing, it's nice to have your subscriptions purchased through Amazon because you can control your subscription settings anytime using Amazon's Magazine Subscription Manager. If you purchase the auto-renewing offer, your subscription will renew at the end of the current term. But before it renews, Amazon will send you a reminder notice stating the term and the renewal rate so you can cancel anytime. This is not the right season for this, I know, but the book This Is Not a Valentine is on sale for $1.74!! Regularly priced at $14.99! It's a hardcover and is a great story about how everyone sees love differently! Snag it up for next Valentine's Day before Amazon changes the price!! Did someone say Hunter boots? Right now you can grab the Hunter Women's Original Tall Rain Boots for $109.99 and free shipping. Plus if you use promo code SALE3 you will receive an additional $11 off making them only $98.99. Or you can grab the Hunter Women's Original Short Rain Boots for $119.99 and free shipping. Plus if you use promo code SALE3 you will receive an additional $12 off making them only $107.99. Now the only question is, which color do I choose? Toddler Boys Suit Coats $7!! I have one little boy and when we go to church I've always just put him in a button up shirt and maybe a clip-on bow tie if I'm feeling extra put together. I've never wanted to spend the money on a suit coat for him even though they are possibly the cutest things on the planet. Good news...I found the most adorable suit coat available for only $8.98 at Target (available in both gray and black). And when you use code SAVE20 you get an additional 20% off, making it only $7.18! This is for sure the BEST deal I've seen on these, so nab them now before they are all gone. And might I advise to get a few sizes!! As always, free shipping on orders +$25 and an additional 5% off when you use your Target REDcard. I am a huge fan of slippers, especially since it is cold here in Illinois about six months of the year! However, I HATE spending money on them. Macy's has these Memory Foam Slippers on sale today only for $8.76, reg $29.99! I realize they aren't the cutest things in the world, but they have great reviews for comfort, warmth and they are super easy to slip right on. Free shipping offered for any order over $50 and free in-store returns. Am I the only one that is constantly on the lookout for good toys that we can take in the car, to church, or on a plane, etc? 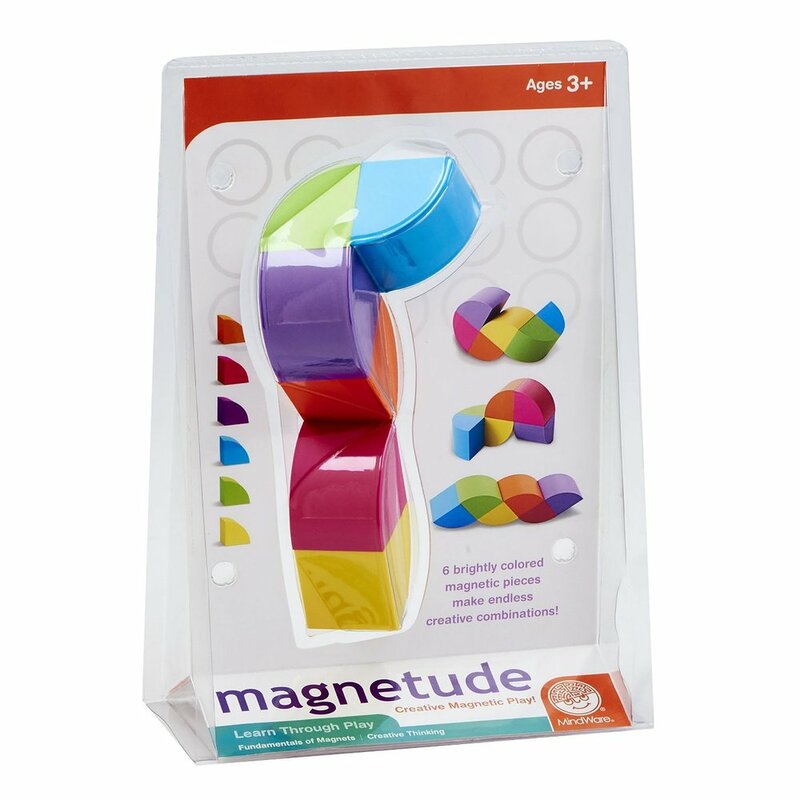 Well today you can grab the Mindware Magnetude toy for $8.48, regularly $16.99 making it 50% off. 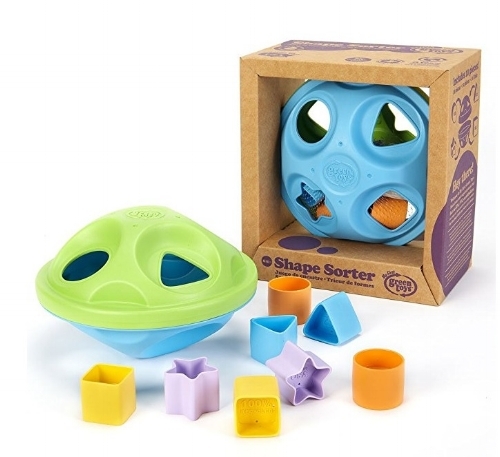 This is a great, quiet, educational toy that your kids will love. Free shipping and returns on orders over $35, or use your REDcard to receive free shipping and an extra 5% off. You know those hoodies that you end up wearing ALL THE TIME? This Roxy Snow Frost Fleece Jacket is one of those hoodies for me. It is so soft and comfy, plus I love the length. Right now you can get the Heritage Heather Gray color for $39.98, regularly $99.95 (only available in size S or M at this price). 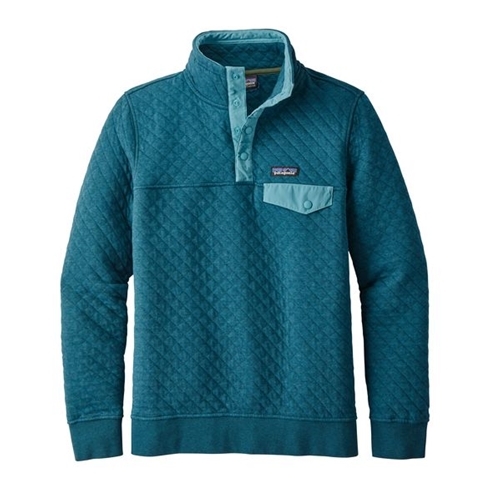 Or the Peacoat color for $44.99, regularly $99.95 (available in all sizes XS-XL at this price). Free shipping and free returns on both items. Okay where are my girls that love their tennies? There are some great Superga tennies on sale today. 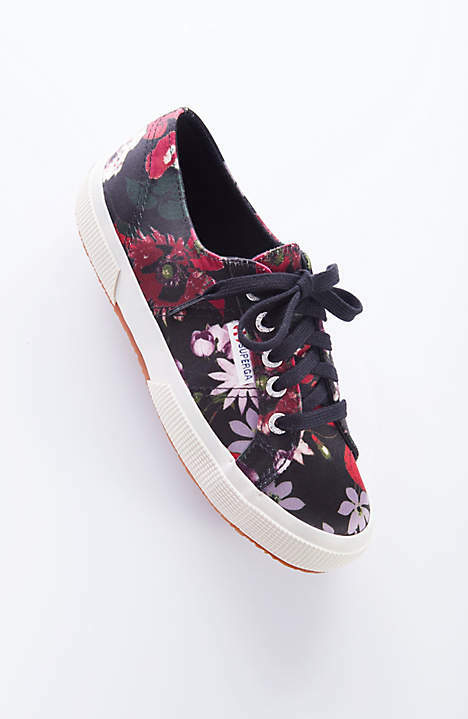 These Superga Midnight Bloom Sneakers are only $35.99, regularly $89.00 making them 60% off. Also, these Superga Neoprene Sneakers are $41.99, regularly $99.00. Please note, the prices will appear higher on the screen but once you add the product to your shopping bag the discounted price will be reflected in your shopping bag. Also, use promo code RED0418 you will receive free shipping on orders over $50. I love adding little accents to our home decor, but it seems like those little accents are always SO expensive! Like this Project 62 Ottoman from Target. I have been on the hunt for one to put in our living room or possibly my little girl's room, but I wasn't willing to pay what anyone was asking for. Luckily, Target is offering this adorable one in Ferocious Blush and Teal for 50% off, making them only $34.98, plus free shipping, plus an additional 5% off if you use your Target REDcard! J.Crew Factory is offering an additional 50% off their clearance items when you use code GOODIES. Once you add things to your cart, an ADDITIONAL 10% will be discounted to your total! It's always fun to get a few new things to wrap up the colder seasons and then when winter rolls around again, you already have some newer items to wear. Below are a few of our favorites, but there is SO much more (prices below reflect both discounts). Shipping is a flat $5 or free on any order over $100. Summer time clothes for me mostly consist of t-shirts to go to the park in, walks and play outside with my kids. I love a good t-shirt that is easy, comfortable and isn't super flashy. American Eagle is has a ton of items 60% off or more! The t-shirts below are in my shopping cart right now and I'm trying to decide if I need all three...probably. Free shipping $50 an up and free in-store returns - so get a t-shirt and add a pair of jeans to return on your next mall visit. I'll do basically anything for free shipping. Spring is here and it feels like it is definitely jacket/windbreak weather. Today at Gap they have an additional 50% off all sale items when you use code FIFTY. So, you can grab these great windbreakers for your kids for only $10.49, regularly $24.00 for toddlers OR $12.49, regularly $28.00 for girls. These would be a great addition to an Easter basket, they are also lightweight and water resistant. Also remember, you will get free shipping for any order over $50 and they offer free returns on all orders.